Turn up the pressure for faster cook times*! The BLACK+DECKER™ 11-in-1 Cooking Pot gets your favorite meals to the table quickly by sealing in heat, steam, and flavor throughout the cooking process. Choose from 7 dedicated pressure functions and 4 slow cooker functions to make all your favorites with one-pot convenience: meats and roasts, soups, stews, rice, and plenty more. You can even sear meat with the browning function before pressure cooking it to perfection and adding in other ingredients. 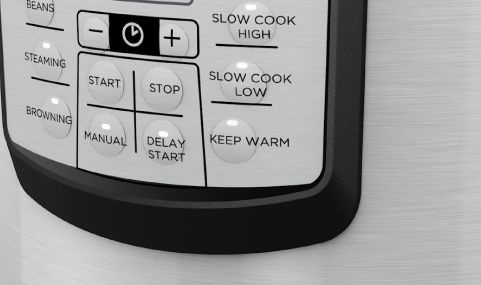 Other non-pressure functions include four slow cooking settings and keeping food warm. Safety is a priority with this pressure cooker, and it's designed with 9 safety checks to ensure the unit works correctly and safely every time. Plus, the digital controls and delay timer make it easy to select the exact function and time you desire. You like fast cooking, right? 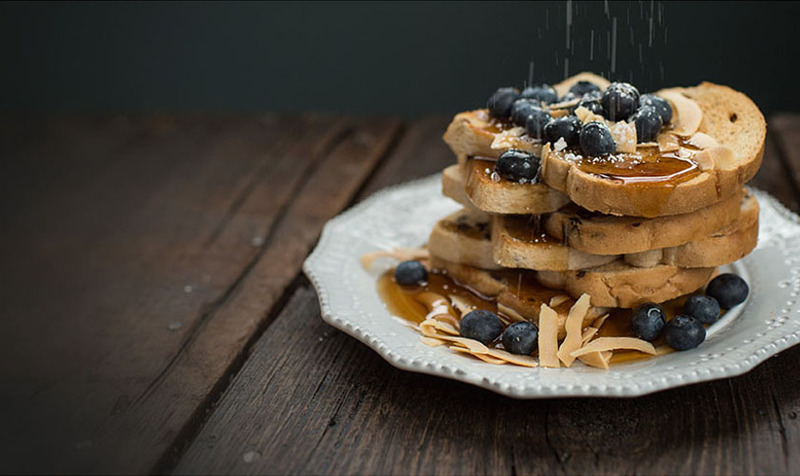 How does fast cleanup sound?! The nonstick cooking pot is dishwasher-safe and so are the included accessories: trivet, rice-measuring cup, and nonstick-friendly serving spoon. Also included is a recipe book packed with delicious meals designed especially for one pot pressure cooking. Get ready to save time in the kitchen! The BLACK + DECKER 11-in-1 6-Quart Cooking Pot is the perfect way to make delicious food fast! New to pressure-cooking? No problem! Seven dedicated pressure functions make it easy to prepare a variety of foods faster than ever*. Functions include: white rice, brown rice, beans, meat, steaming, soup, and manual programming. 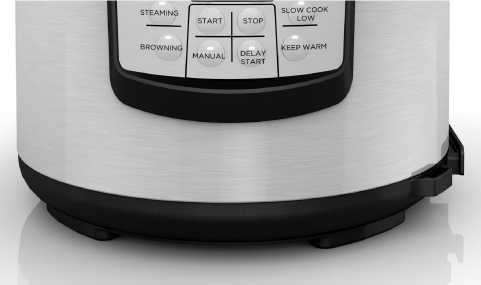 Go beyond pressure-cooking with settings for traditional slow cooking (high or low heat), browning, and keeping food warm. 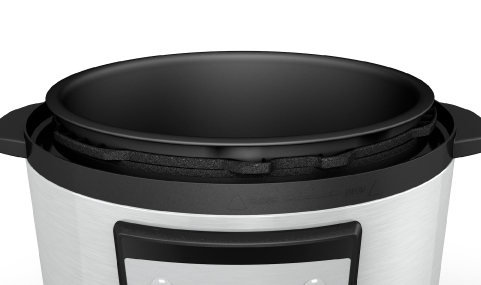 Carefully designed with a system of safety checks for peace of mind every time you use the pressure cooker**. With 7 pressure functions, it’s easy to prepare a variety of foods fast. Pressure functions include: white rice, brown rice, beans, meat, steaming, soup, and manual programming. 6 Quart 11-in-1 Cooking Pot, Pressure Cooker is rated 4.9 out of 5 by 79. Rated 5 out of 5 by jzhang678 from Superb Appliance! The 6 Quart 11-in-1 Cooking Pot, Pressure Cooker is a handsome, portable pressure cooker that fits well in any kitchen. Ever since receiving this pot as a gift around Thanskgiving, I cannot stop using it! The features are amazing and very intuitive in design. The pot is enough to cook for a family of 8 and all I have to do is put in the ingredients, and the cooking is taken care of. Very modern ans durable, with knobs and buttons for easy cooking. Overall, I really recommend 6 Quart 11-in-1 Cooking Pot, Pressure Cooker for any family! Rated 5 out of 5 by FloK from Love it!! Received as a gift, I am in love with this appliance and what it can do! From hard boiled eggs (so easy to peel), to fantastic pulled pork ( the recipe given is a HIT! ), to soups and rice and more, I can't stop using it! Rated 5 out of 5 by Amanda4866 from Great features! I received this to review and I am constantly amazed at the things I can make with it! You can cook fast or slow with it! I love all the features on it and it’s simplicity of use! Rated 5 out of 5 by Nida from One pot cooks it all I've been cooking in a traditional pressure cooker for years. It's fast and easy way to cook everyday meals. I got Black and Decker as a gift I'm just loving it. It has all the convenience of cooking fast and easy with the added safely features and peace of mind with the timer and delayed setting. This gadget in my kitchen has definitely made life easy. Will recommend it to everyone! Rated 5 out of 5 by tntitanfan from Time Saver I received this Black and Decker 6-quart Pressure Cooker about 2 months ago and I love it. I am a first time pressure cooker user and I found it very easy to use and clean up was a breeze. It is such a time saver for our busy family. I love that I can use this as a pressure cooker, a slow cooker, a steamer and more in one easy to use appliance. I definitely wish I would have discovered this pressure cooker long ago. With this being made by Black and Decker I know it will hold up for many years of use. I can't wait to discover more time-saving recipes. Rated 4 out of 5 by Tamkel42 from Great product and quick I love this product for stews! Don't use it for meat alone, unless you add broth to it. The meat in the stew is so tender and yummy! Love this! Rated 5 out of 5 by KPepperPotts from Awesome, easy-to-use product! This Pressure Cooker is simply amazing. Comes with a recipe book and a step-by-step guide to use, cleaning, care, and storage. Meals are super easy and completely cooked from start to finish. For example, to make spaghetti with meat sauce, you can even brown the meat using this product. Great features, including one touch options for different foods. LOVE this and will be buying it as a gift for family members. Can u cook meat that is still frozen in your pressure cooker? Thank you for your question. You can cook frozen meat in your pressure cooker, however, you may need to increase the cook time and possibly decrease the volume of liquid you add. Can I cook frozen beef ribs in the pressure cooker? Thank you for your question. You can cook frozen meat in your pressure cooker, however, you may need to increase the cook time and possibly decrease the volume of liquid. HOW DO i COOK TAMALES IN THIS PRESSURE COOKER? Is the cooking insert nonreactive?